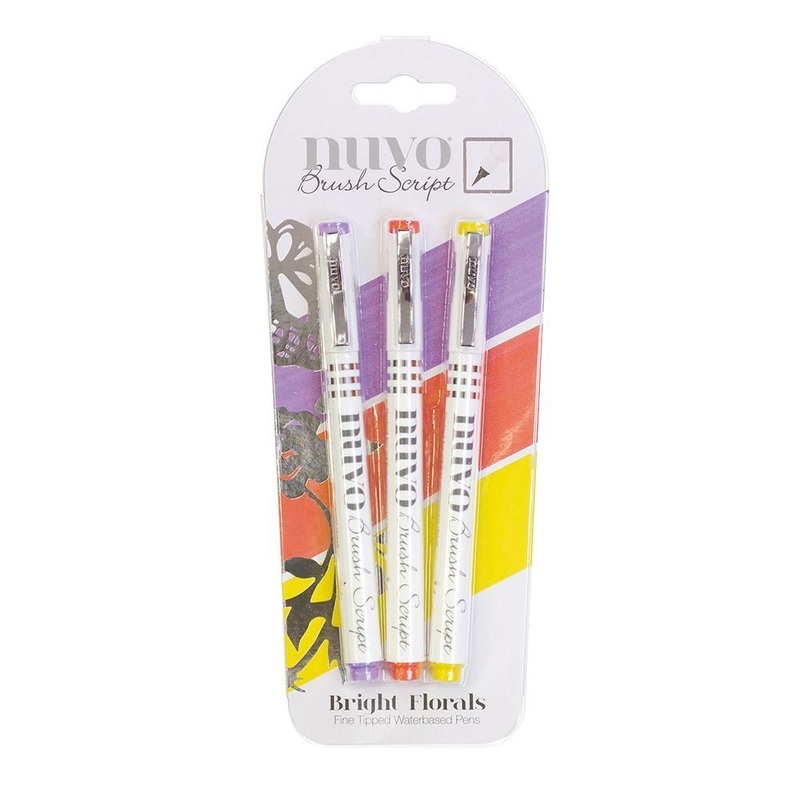 Available in five sets of three, the Nuvo Brush Script Pens are divided into carefully selected colour combinations to add vibrant detail to your paper crafting project. These water-based pens feature a brilliant flexible brush tip, enabling you to draw different line thicknesses in one stroke. The addition of water can diffuse and seamlessly blend the colours, leading to a range of subtle tones and refined finishes. This Bright Florals pack contains three beautiful colours including Pale Lilac, Deep Rose and Sunflower Yellow. Look out for other colours in the Nuvo Brush Script pen range.